Guess who is wearing TV makeup in this video‎? No, it’s not Gary. It’s the demo, well at least metaphorically. The graphics in these user interfaces were specifically designed to be filmed. 1. Hide the mundane. Forget about settings, back buttons and everything that might distract your audience from the main point you want to make. In videos, time is limited so don’t add any scenes where your stars brush their teeth. 2. Say one thing at a time. Guide the viewers’ attention by making the key visual element, such as a button, in each scene as clear and vivid as possible. Also, slow down transitions so your audience doesn’t miss anything important. 3. Use big fonts. When your design is viewed from a distance through a camera, fonts need to be ridiculously big and texts must be short. This is a luxurious waste of screen real estate that usually looks good anywhere. Finally, be prepared to overact. When filming someone that uses your demo, make sure they use vivid gestures. There is no time for your audience to interpret subtle facial expressions or interactions. TV makeup is not just about making a demo look good. It’s an exercise in quick and effective communication of what is most important. Filming a demo limits the bandwidth and time available for communication, which is a great stress test for any design. If you could only say one thing about your concept, what would it be? Can you say it in a few seconds? 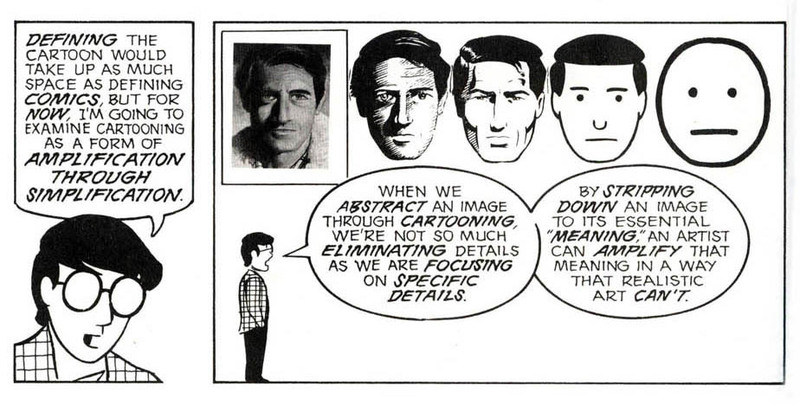 This way of emphasizing essentials reminds me of Scott McCloud’s description of comics as a form of “amplification through simplification“. Similar to cartoons, all good concept designs exaggerates features. They are created to make a statement or to point out a future direction. Just like catwalk clothes aren’t necessarily designed to be worn in real life, we don’t expect that anyone would use a design full of TV makeup. However, once you have figured out how a concept best can be communicated, a lot of design decisions will fall into place when the real solution is developed.